Make a birthday special with a unique birthday delivery! It is fun to send love with happy birthday flowers, birthday teddy bears and birthday gifts delivered same day. Whether they are celebrating their 8th birthday or their 80th birthday, we have the perfect flowers for birthday delivery to make their day bright. Send your birthday wishes to a friend or family member with a unique birthday gift delivered. From our delicious birthday cakes to the always popular birthday flower cakes. You are sure to find the perfect gift for everyone in your life. Enjoy nationwide same day cheap flowers delivered today delivered in the USA, so you will not miss celebrating any occasion, including birthdays. A personal card is included in every order on From You Flowers, so you will have an opportunity to share a personal message with each birthday flowers delivery. Happy Birthday flowers is the perfect gift to send! If you can not decide what to send today we offer some tips for buying birthday flowers. The first is to think of the recipient's favorite color, that is always a good idea to choose a bouquet that is filled with that color. The second tip is to purchase the flower that is connected to their birthday month. For instance did you know that June's birthday flower is a rose? 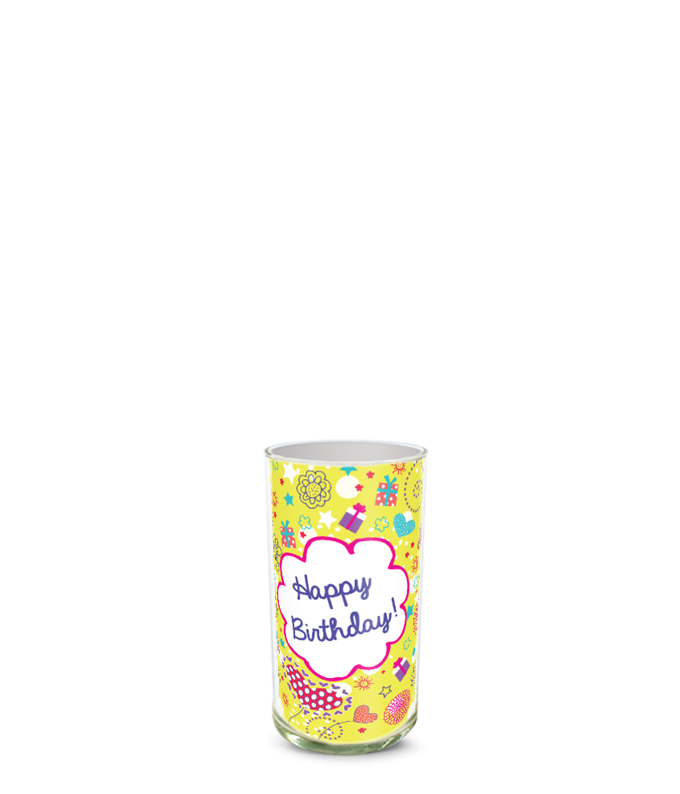 Check out all the birthday flowers by month to see what is today's birthday flower. The last tip is to remember that all of the same day birthday gifts are fulfilled by our florist partners near you, so enjoy seasonal bouquets. That can mean ordering tulips in the Spring or a bouquet with hypericum berries in the Winter. Remember that you cannot go wrong when choosing to send a gift to celebrate someone's birthday, they'll love what you choose. What are the birthday flowers by Month? January Birth Flowers are Carnations: Carnations are a playful floral stem that are grown in a large variety of colors. From pink carnations to red carnations and more. Carnation stems can make their own arrangements or be paired with other flowers for a beautiful mixed arrangement. February Birth Flowers are Violets: Violets are a beautiful delicate purple flower that would be beautiful to give to someone for their February birthday. In the middle of the Winter seeing a Violet floral stem would be truly magical. If you aren't able to send a true Violet flower, feel free to substitute violet colored flowers, including purple roses. March Birth Flowers are Daffodils: Daffodils often are a sign on the Spring to come, and a sweet gift for someone with a March birthday. Daffodils are commonly white flowers with a yellow center or all yellow. April Birth Flowers are Daisies: Celebrate a birthday in April of someone you love by sending them their birth month flower, the Daisy. Daisies are common flowers, that come in a wonderful selection of colors including the classic all white Daisy. For a cute gift, send a bouquet of all Gerbera Daisies. May Birth Flowers are Lily of the Valley: Lily of the Valley are uncommon flowers, that when seen in real life are awe-inspiring. The Lily of the Valley stems smell wonderful as they look with the small white flowers which hang low and look like bells. June Birth Flowers are Roses: Roses are always a popular choice to send, but when they are also the birthday flowers for loved ones in May it really is a great choice for a gift. There are a lot more options then the classic red rose to send too, from purple roses to pink roses easily find a great May rose birth month bouquet. July Birth Flowers are Larkspur:Larkspur flower stems stand tall and make a statement in a wonderful way. These blue flowers, sometimes in purple tones are large and feature multiple flowers on one stem. August Birth Flowers are Gladiolus: Gladiolus flowers are magnificent and beautiful flower to send to an August birthday girl or boy. Gladiolus have a lot of flowers running up and down the floral stem. The Gladiolus flower can bloom in a variety of colors from pink to white and orange. September Birth Flowers are Asters: Aster flowers are tiny purple floral stems that are delicate, with a yellow center. Often Asters are paired with other larger flowers in bouquets to fill-out the vase. Asters are known for being enchanting, making it a great flower to send to someone you are enchanted with, who has an September birthday. October Birth Flowers are Cosmos: Cosmos flowers are eight petal flowers with a petite yellow center, which come in vibrant colors including purple and yellow. Cosmos are in the Sunflower family, so if you are having a difficult time finding a Cosmos flower bouquet to send feel free to substitute it with a Sunflower bouquet. November Birth Flowers are Chrysanthemum: Chrysanthemum are also called Mums, look like tiny colorful fireworks. With no yellow center Mums can add a great touch of color to any arrangement. Purple Chrysanthemums are especially popular to send, especially for birthdays. December Birth Flowers are Holly: Holly is not often thought of a flower, but it does bloom and highlight the red balls that bloom on its branches. For December birthdays celebrate by sending them a bouquet that is arranged with Holly which will be mixed with other flowers.